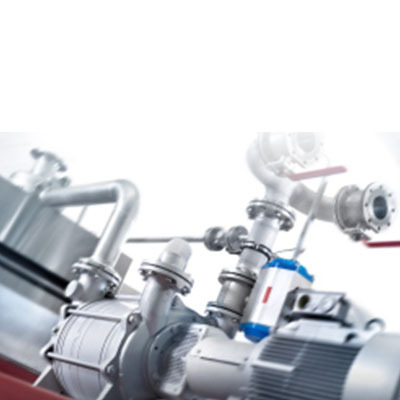 The liquid ring vacuum pump is ideally suited when it comes to pumping gases with significant condensable constituents. Depending on the type of pump, even liquids and contaminants are allowed to a limited extent on the intake side. 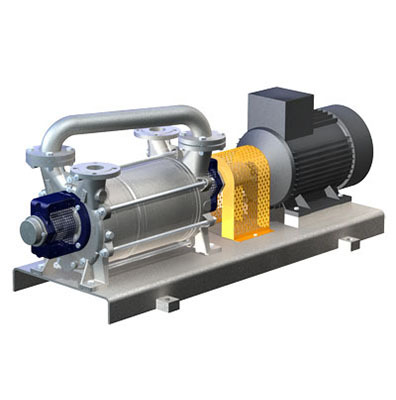 Arpuma liquid ring vacuum pump belongs to the group of compressing pumps. The impeller has been arranged eccentrically within the housing and rotates without contact in the pump chamber. The same liquid which is present on the process side can be used as the sealing liquid between the individual compressor cells. 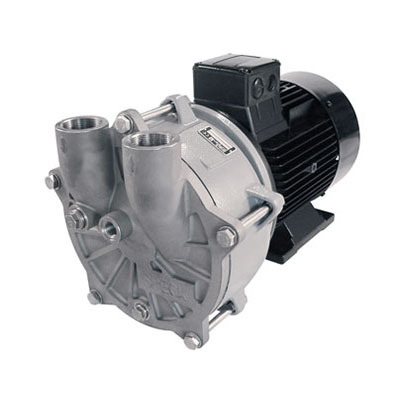 Owing to its rugged and simple design, this type of pump offers a very long service life. The wearing parts like shaft bearing and axial face seal have installation dimensions according to DIN specifications and can be easily exchanged. 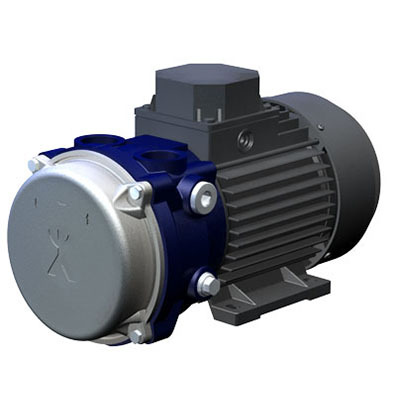 The liquid ring vacuum pump is available by way of a single and two-stage design. Single-stage pumps are suited particularly well for evacuation processes and operate very effectively in the high pressure range. 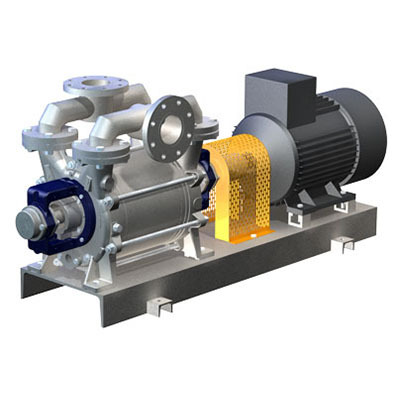 Two-stage liquid ring vacuum pumps are preferably deployed on continuously operating processes in the low pressure range, distillation processes, for example or as a backing pump for a Roots pump. By operating the drive of the pump connected to a frequency converter, it is very easy to implement a pressure control arrangement and also to save energy. High quality materials pairing permits even pumping of highly corrosive media.